Sometimes, good books don’t need to make use of complicated characters tackling complicated and extraordinary issues. Sometimes, good books can be told just by using regular characters that seem normal. See, there are books that sometimes has bizarrely extraordinary characters, such as princes and princesses, royalty and nobility, people who have powers, and all those other things. But the thing about this book is that it never tries to put itself higher than the reader, the average ordinary reader. But before I discuss how I think that that is indeed the case, let me tell you what the book is about first. 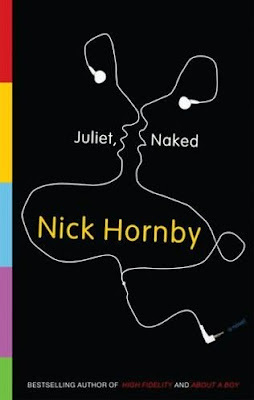 The book narrates the story from two angles: the angle of Annie and Duncan, who are a couple from England; and the angle of Tucker Crowe, who is a former rockstar who just disappeared into oblivion some decades ago. Tucker has a small set of followers, trying to decipher the puzzle of Tucker’s disappearance from public view, even having a website and all that discussing all possible Tucker sightings, re-analysis of Tucker’s lyrics, and arranging pilgrimages to Tucker-specific locations, such as a toilet in a Minneapolis bar, the house of Tucker’s former girlfriend, a house in Montana, and such. These people are called Crowologists, but in reality, they are just fanatics. Duncan is one such person. The book starts when Duncan and Annie from England decide to make a trip to the United States, in order to make a pilgrimage to Tucker Crowe sights. Annie just tags along to Duncan, but somewhere in the middle, she decides to bail out and see San Francisco instead, instead of stalking some lady’s house. That starts the drift between Duncan and Annie, which eventually results in their break-up, but after Duncan has an affair with a colleague. Tucker on the other hand is now a middle-aged father, father of several kids with different mothers, but he hangs out with just one of them, Jackson. He has unresolved family issues with all of his kids, and he really isn’t the poster dad that one would expect to be. The main conflict revolving around Tucker is his lack of direction, and how his family members are dissatisfied with him. Now how do the two sides collide? Well, the title of the novel is in reference to an album of Tucker that just came out, after several years. The novel tells about Tucker’s last album entitled Juliet, and several years later, a collection of songs, that were basically the same songs from the last album, but rather premature, came out. This was called Juliet, Naked. Now, the Crowologists loved it badly, to a certain presumptuous degree, that I was rather annoyed. I especially was annoyed at Duncan for being so obtuse, narrow-minded, and haughty. Duncan listened to it, and then wrote a review praising the work. Annie on the other hand listened to it, and didn’t like it. She also wrote a review, but Duncan doesn’t respect her opinion because he thinks that she isn’t an expert Crowologist just yet, so what does she know about the matter? Anyway, they drift away, and the break-up happens later, but in the meantime, the real Tucker Crowe writes Annie an email, thanking her for her opnion. This gets things between them going. Anyway, I won’t really give the details here, but the rest of the book tackles both the issues of Annie, who now feels like she wasted her whole life with a good-for-nothing person in Duncan; and Tucker, who is locked in a tangle of half-brothers and half-sisters and unknown children. It is not as much as a romantic story between Annie and Tucker, but more of a realistic picture of real people tackling real issues. Now at this point, my readers might be already thinking that I have a favorable impression of the novel. In fact I do, I like the novel. I like the fact that Hornby tried to be in touch with the general populace. There were Wikipedia entries, email correspondence, lots of references to pop culture, all these attempts to ground it within the reality of the common reader. It wasn’t something that one had to have either a sophisticated imagination or a scientific mind in order to properly process it. Granted, it was not Umberto Eco, but it still made justice portraying real situations of real people, and that was what I liked. Overall, it was a relatively easy read. I liked the mixture of correspondence, encyclopedia entries, blog entries, among others interspersed with the narrative. I definitely recommend this to someone wanting a fresh take at contemporary fiction, as this is perhaps one of the most down-to-earth novels that I have read in the recent past. 4 and a half out of 5 stars. It's not because I'm French I'm a you-know-what! Ah, the stereotypes we all have! I'm sure you're dressed, and no, I haven't encountered a naked French person yet. Ah yes, Juliette. I figured that would be the case, as I have this idea that the French language needs a final "e" for female names.